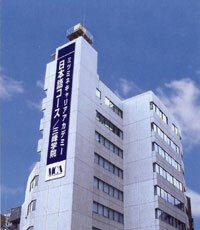 MCA's central Tokyo location gives students access to all the cultural and social benefit of the Japan's capital. MCA is conveniently located near the stations connecting 5 public transportation lines. At the east side of MCA are the National Science Museum Annex and Museum of Haiku Literature, where we can feel a touch of traditional Japanese culture. Just 10 minutes walk from school, the neighborhood of Okubo station is a rapidly growing energetic multicultural community, a popular spot among young Japanese. 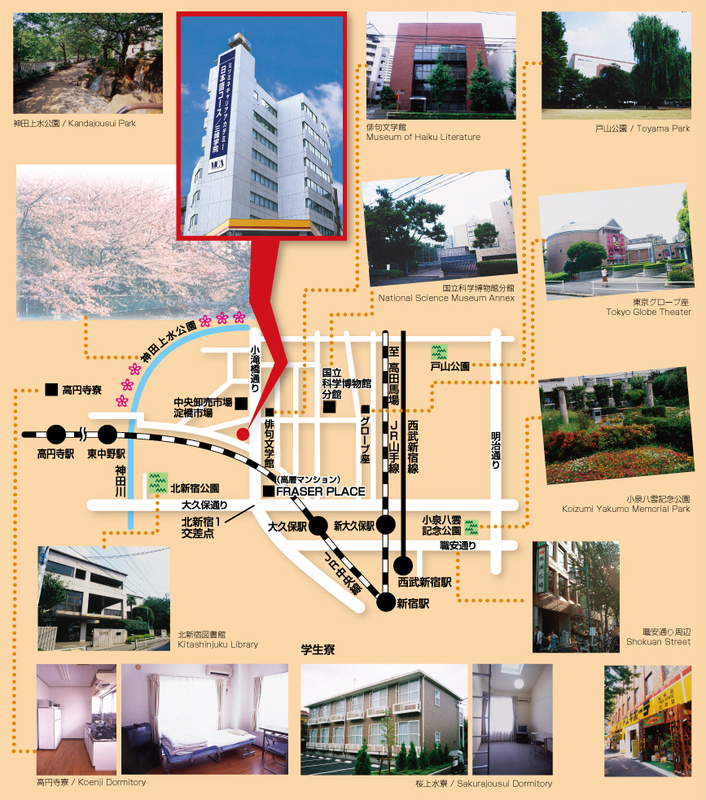 At the south west of the school, is quiet residential area leading to Nakano and Koenji. Near the school along with Kanda River, Kandajosui Park takes prides in its cherry tree avenue of more than one kilometer.